Who Set Up the Google Analytics Account? Over the years, I have generally been called to help 4 – 6 organizations that had “lost” their domain names every year. Each case was such a tragedy. And, each loss could have been avoided with a little knowledge on the part of the website owner as to how domain name registration works. Some years ago, I spoke to a local restaurant owner who told me he had lost his website. A website isn’t like your car keys, you can’t misplace it. The real problem was that he didn’t understand what it means to have a website and how a website works. The person who built his website had bartered for meals. She had showed them the website, and they assumed it was theirs without learning what that meant. When I checked out the address to the site, I found out that he didn’t have a domain name. The address was tagged onto something else in some sort of free web system. That means that he didn’t own a website. His situation was loosely like having a WordPress.com website. If you have a WordPress.com website, your address is yourname.wordpress.com. You don’t own it. You have just used a free system that allows you to have a website under their name. So, the first way to lose a website is not to have a domain name, registered with you as the owner. Domain names are registered a year at a time. You can also register for multiple years. It’s generally less expensive if you register for multiple years. It is very important that you, the owner, know where your domain is registered and that you can log into the account. Your registrar will email you when your domain name is close to expiration. But, if the email address in your account is expired, you will never receive those notices. A similar issue is when an employee or contractor does the work of registering your name, even if they put you as the owner, if it’s tied to their email address, they receive the emails. Or, they don’t receive the emails if they change email addresses. In either case, your business asset is not available to you. This is a mistake that only an amateur or new developer should make. Just like it would be wrong for a bookkeeper to put your money into their bank account, it’s wrong for a developer to put your domain name into their name. And yet, there is a Western Montana town where the most well-known developer registers domain names with his business as the the owner. When I realized that this developer owned the domain name of a new client, I called him on it. And, I showed him that I had found several others in his name. He changed the ownership of the domain names I had mentioned to him. But, I heard from another person in his town that he is continuing the practice once I was out of the picture. All of his telling me that he didn’t realize were just a smoke screen. For my very small home business client, it took almost half the initial budget to get his domain name transferred to his own account. Some of that time was in training my client how domain names work. For another client, it was a helpful neighbor who “helped them” by registering their domain name, but put it in his own name. Thousands of $$$ of legal fees later, and they can no longer use their main domain name with .com. Instead, their domain name has .net. The host it is pointed out went out of business, but they can’t move the domain to their new host. If I tell you that you can put your boat in my back pasture for the winter, and then lock the gate and don’t give you access, the boat is still yours, but you can’t use it. That is what it means to have your name on the domain registration in someone else’s account. That helpful developer who will “take care of your domain name for you” is not really doing you a favor over the long run. One time is was a relative. A new client needed to switch to a new server, but couldn’t because the relative was on vacation. In a second situation, a very young developer was being helpful, or he thought he was. But, he wasn’t prepared to communicate well with a 50+, computer illiterate lady. She needed to restart her website elsewhere, but the relationship was so caustic, the developer wouldn’t help her transfer her domain name out of his account. 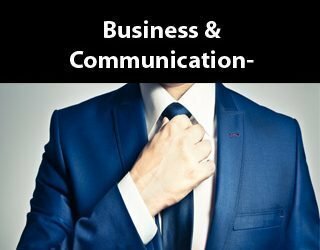 Third, two CS students built a site for one of my business connections. They put her domain name into their own account because the business owner didn’t want to deal with it. A Computer Science Department isn’t Business or Law School. Most of the students are working towards jobs with software companies that have people that know those areas. Later, when those students went on to jobs, we had quite a time getting the domain name into a registrar account belonging to my connection. We don’t set up any accounts for resources for you. We don’t put your resources in our accounts. We will walk you through setting up accounts. We will explain what the accounts do and how they work. But, we won’t do it for you.After the account is created, you can set us as an administrator or technical contact, but the account remains in your name. If you lose the login to those accounts, you can usually get the information with a password reset link that goes to your email. If you change your email address, you will need to go into those accounts and switch the email address in your profile.